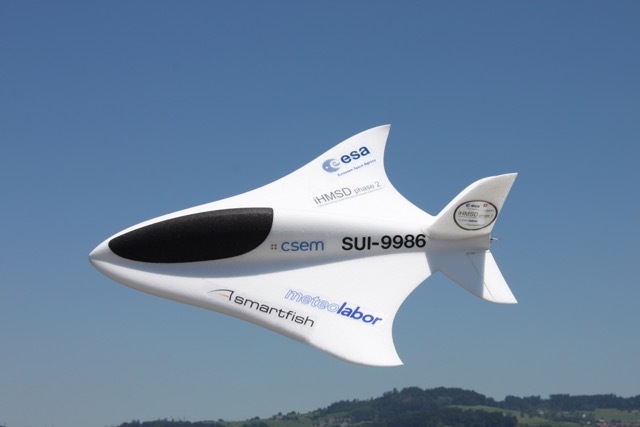 iHMSD is an autonomous, high-altitude glider developed by the European Space Agency (ESA) and Swiss companies Meteolabor, CSEM and Team SmartFish. Purpose of the project was to develop a light-weight, cost-efficient vehicle that can accurately navigate in extreme heights. The glider was towed up to 32km above ground level by weather balloons and then released to follow several waypoints and return safely to ground. Figure 1 – iHMSD flight test in good weather conditions over Switzerland. High altitude flight tests were done at ESRANGE, Kiruna, Sweden. During the Swedish missions, the 1‑kg glider navigated through winds of almost 200 km/h, equivalent to a hurricane of category 4. Nonetheless, several very successful missions were flown, with the iHMSD vehicle reaching maximum speeds of almost Mach 0.9 and gathering many hours of flight data and video footage. The iHMSD test flights reached a maximum altitude of 32000 meters and supersonic speed (1070 km/h). LPMS-CURS was used by the team to measure exposure of the vehicle to strong accelerations and rotations. A control algorithm was implemented to adjust the steering of the glider to guarantee the accurate navigation of the prescribed waypoints. Figure 2 – Together with other control electronics LPMS-CURS was installed in iHMSD to measure and adjust the flight stability of the glider. 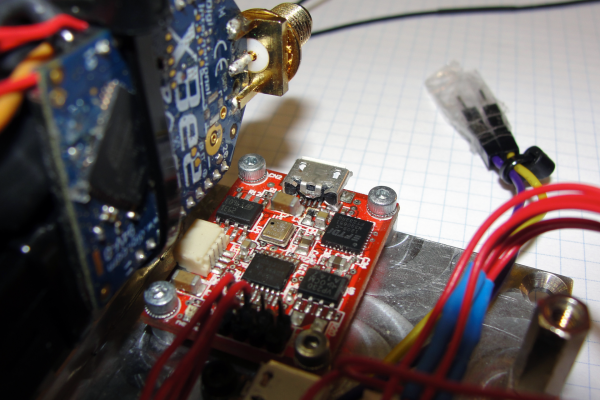 Documentation about this fantastic project was provided to us by CSEM in Switzerland. Thank you!